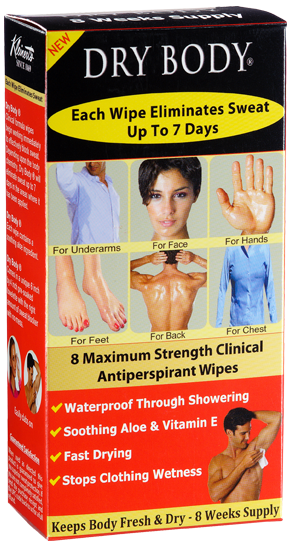 Dry Body wipes are great for traveling. One or two wipes fits into your purse or dop kit and passes TSA inspection while providing you with a full weeks protection in each wipe.The sweat and odor protection goes far beyond that offered by standard products like clinical Secret. So why not look and feel great. DRY FEET FOR EFFECTIVE, LONGLASTING DRY FEET! GREAT REVIEWS ON DRY BODY AND DRY FEET! 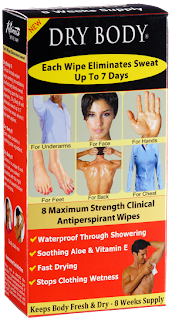 DRY FEET FOR EFFECTIVE, LONG LASTING DRY FEET!